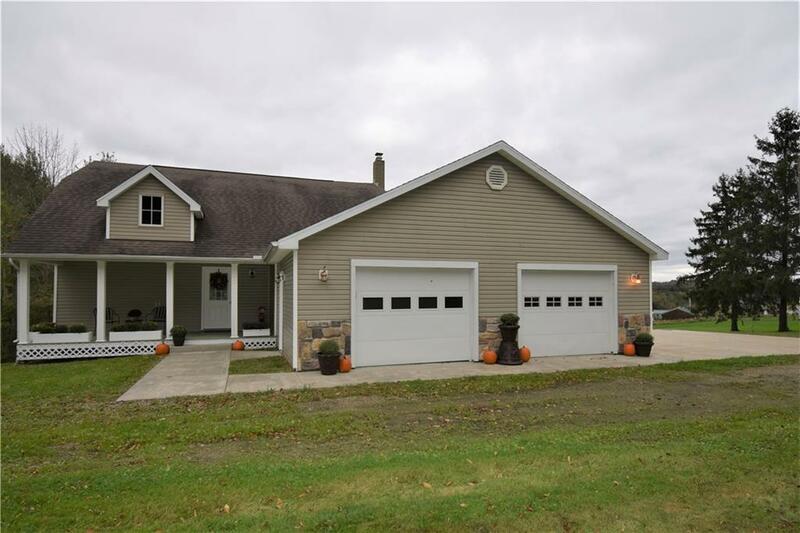 This gorgeous 4 bed/3 bath home set on 9.1 beautiful acres is located just outside Peek'n Peak in scenic Chautauqua County. With snowmobile trails & the area's top ski resort so near, this home is perfect as a vacation home/rental property or for year-round living. Built in 2004, the home features new carpet & paint throughout. Enjoy the large eat-in kitchen and open floor plan perfect for entertaining. The first floor also includes a bedroom, full bath & laundry room. The 2nd floor houses 3 addt'l. bedrooms, including the largest, perfect for use as a master, as well as another full bath. An unfinished full basement with interior access provides an opportunity for more living space, complete w/free-standing wood stove, full bath w/walk-in shower, walkout access to the backyard & lots of natural light. This beauty won't be on the market long so call to see it today!